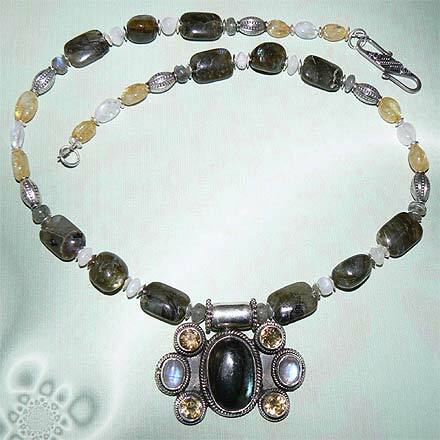 Sterling Silver Labradorite, Citrine and Moonstone Necklace. See Closeup. 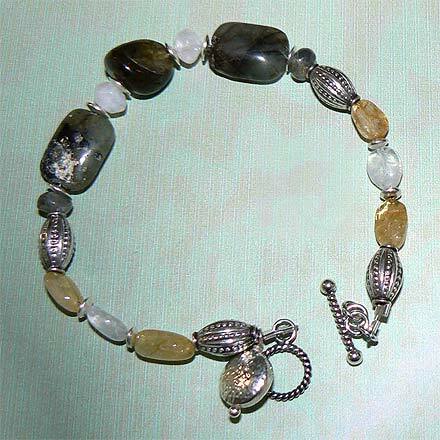 Sterling Silver Labradorite, Citrine and Moonstone Bracelet. 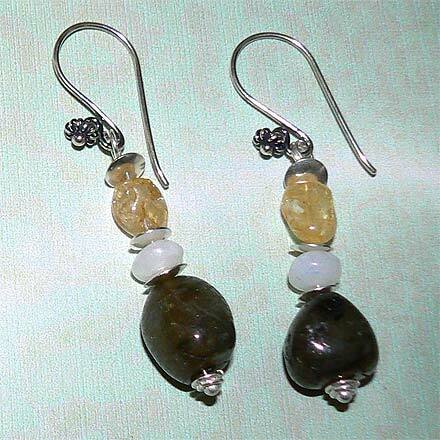 Sterling Silver Labradorite, Citrine and Moonstone Earrings. It's so hard to capture the flashes in Labradorite and Moonstone, but trust me, they're there. 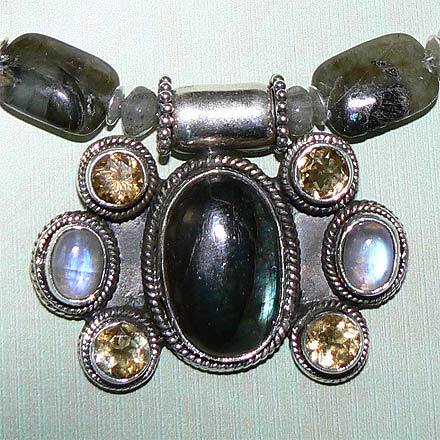 The 1.4" pendant features both Labradorite *AND* Moonstone, plus Citrine. It hangs from an 18¾" necklace. The matching bracelet is 7.4". For those who are interested in birthstones, Citrine is November's birthstone, and Moonstone corresponds with Cancer and the month of June.